Autor: Backhouse, Fid et al. Autori: Fid Backhouse, Kieran Fogarty, Sal Oliver. 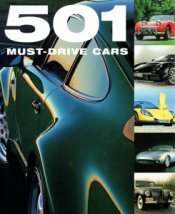 Whether you prefer the more classic car of the 1920s or fast, extreme cars that you'll almost certainly never get to drive but really wish you could, this book has everything you need to know. This indispensable guide can be referred to time and time again and there will always be something new to discover. There is a detailed synopsis on each model of car which includes information such as the country of origin, the year of first manufacture, engine type, performance levels and a fact that all car fanatics 'really should know'. Pogledajte sve od autora: Backhouse, Fid et al.